It’s been a head-spinning few weeks with the recent slew of initiatives and regulatory ‘reforms’ from the new regime. The hardest one for me to swallow has been the proposed travel ban, the so-called Muslim ban, which, as I write this, has been momentarily put on ice by a series of independent and frankly indignant judges. The roughest aspect of that proposed and draconian ban is the indefinite halting of all refugees, Syrian and otherwise. Refugees are among the most vulnerable and traumatized people on earth. Just what the hell are people thinking? 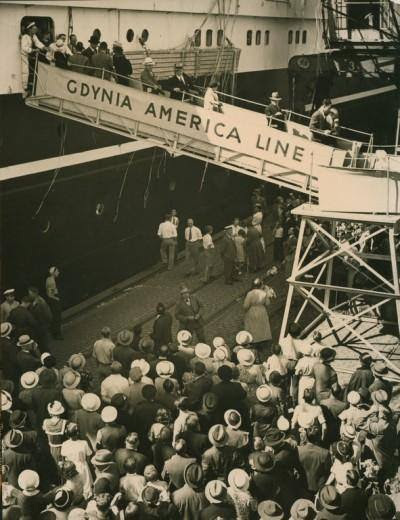 Finally in the summer of 1937 my mother, at age 11, together with her beloved youngest brother, Joe, and their formidable mother, Dyna, made their way to the front of the cue and boarded the MS Pilsudski. The ship was named after the Polish national hero of the day, Marshal Jozef Pilsudski, and took off from the bustling Polish port city of Gdynia to New York City, a round trip it undertook across the Atlantic ten times annually. I’d always assumed our family traveled in some kind of steerage class, like those poor Spanish migrant workers in ‘Ship of Fools’, set in the late 1930s, who had the industrial strength hoses turned on them in a scene both extraordinary and deeply humiliating. In fact, the Pilsudski was a Polish luxury liner, replete with up to date hair salon, launderette, and electric lift. The ship even featured a state of the art swimming pool, and a separate kosher menu. On a Polish national liner! It was touted as a smaller, 1930’s version of the famous British luxury liners, and then was compared to the fated Titanic when it sank two years later, in November 1939, presumably after hitting a minefield off the coast of England during World War Two. 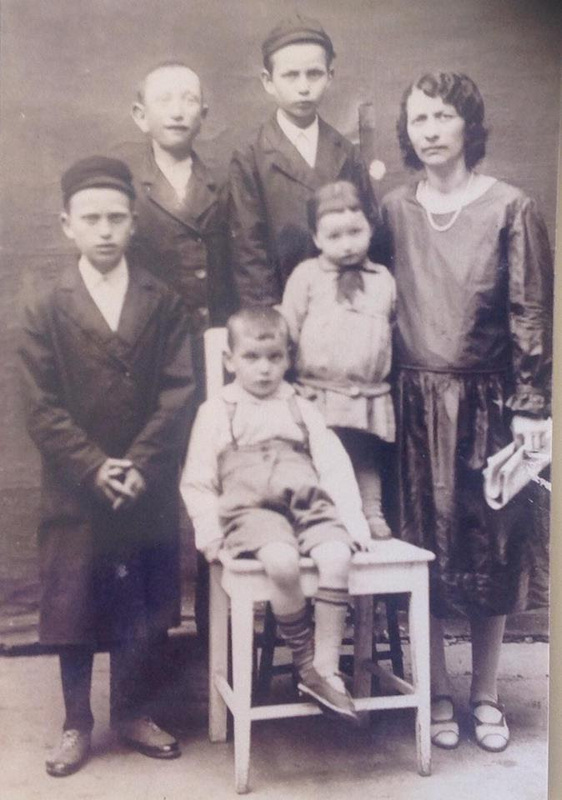 Even at that late date Mom was not considered a refugee, or ‘Refu-Jew’ in the vulgar parlance of the day, though her life in Europe was already burdened by native anti-Semitic slogans, taunts and sometimes stones. For Mom and her family, the magical sight of Lady Liberty was a greenish-tinged golden apparition, as it had been for so many millions before them and continues to be. “Give me your tired, your poor, your huddled masses…” It’s become cliche for us, but for those immigrants, even with their limited English, the Statue of Liberty brought tears and evoked blazing images of possibilities and sacred sanctuary. The family quickly adapted a new and acceptable Americanized identity with a more pronounceable name: “Novetsky.” Mom was brusquely assigned a birthday in early March, though the entire family was well aware that she was born towards the end of the Hebrew month of Av, which meant early August. We still speculate whether the officials simply confused the European calendar system: from their ‘3-8’ (3rd of August) to ours (March 8th). Oh the unanticipated joys of the immigrant experience. The bitter twist to their narrative is that the outbreak of World War Two in Europe and the ensuing Catastrophe, later defined by the Greek-rooted construction “Holocaust,” quite abruptly transformed the status of Mom’s family members who remained in Europe from your average, lower middle-class but educated Polish Jews into destitute and desperate, would-be refugees – all within the space of a few short weeks. As my grandmother, my Bubba, would repeat and recite to me years later, so many times, temporarily setting down her Yiddish version of The Forward: “Roosevelt closed the Immigratsia, and Hitler murdered my family.” A quarter of a century after the fact, she still spoke of these bitter traumas as though she’d personally known all of the actors involved. In fact Bubba lost all of her sisters and their husbands, all of their children including Mom’s beloved cousin, the girl who shared her own name, Ruchel, and whose stylized 1930’s portrait, holding onto her little sister and a precious old doll, still hangs lovingly on the wall. Then there was Mom’s eldest brother David, who was ‘different,’ meaning cognitively challenged. David never even had a fighting chance. He simply held too many strikes against him. First, he would never make it past the border of 1930’s America, with all of its prejudices and highly restrictive standards. And second, he’d never have a glimmer of hope with the invading Nazis who’d already widely exterminated disabled Germans and Austrians in their infamous, pre-war Euthanasia program. David, who could have been another Jewish refugee, was also my would-be uncle. Now fast-forward to today’s Alice in Wonderland political terrain, so bizarrely reminiscent of 1930’s “America First.” Is it any great wonder that sharply painted Stars of David and protest signs insisting on Never Again have been appearing at rallies around the world, including an anti travel-ban demonstration some friends and I recently attended at San Francisco’s Civic Center? The enemy groups targeted may change with time and place, but the central tactic of scapegoating vulnerable minorities, in this case largely but not exclusively our Muslim and Mexican brothers and sisters, stays a constant. Recently there’s been a rash of desecrations at Jewish cemeteries throughout the country, and multiple threats against Jewish schools and centers, including one that is just down the road of Mom’s current residence. This past February a house in San Francisco’s upscale Marina district was daubed with swastikas, then tagged with the name ‘Joe Mengele’. That would be the infamous Joseph Mengele, the sadistic Nazi doctor who made so many life and death decisions in Auschwitz, and who built a reputation based on his notorious and often deadly experiments on twins. That targeted house is only a few miles from my own apartment, and the image sent shivers down my spine. For many of us, the campaign of hate and scapegoating is hitting uncomfortably close to home. The next time I go public, together with like-minded friends and colleagues, calling out to resist the latest perverse version of “Make America Great Again,” the Star of David will serve as my own shining, guiding point of light. It will be in memory of our King David from three millennia past, and for my beloved and special would-be Uncle David, would be ‘Refu-Jew,’ shot down like a rabid animal, whose remains lie in some nameless, long forgotten and far away mass grave. May his death and that of so many others not have been in total vain.